Alison Mahoney’s performances have spanned the worlds of musical theatre, opera, and new music. She has performed at the Public Theater, Lincoln Center, Paper Mill Playhouse, Baltimore Center Stage, and Vermont Stage Company. Alison has been seen in A Little Night Music, Ragtime, Anything Goes, and Phantom and premiered roles in the Off Broadway productions of CHURCH, Dream of Love, Hot and Sweet, The Extraordinary Ordinary, and Einstein’s Dreams as well as the opera The Last of Manhattan. 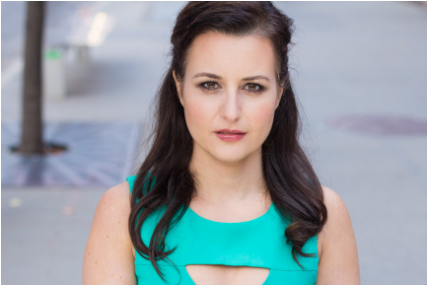 Favorite roles include Maria (West Side Story), Amalia (She Loves Me), Jennifer Owen (Babes in Arms), Guenevere (Camelot), Donna Elvira (Don Giovanni), and Susanna (The Marriage of Figaro). As a soloist, she has graced the stages of Avery Fisher Hall, Alice Tully Hall, Jordan Hall, The Boston Esplanade, and toured Italy which culminated in singing for the Pope in St Peter’s Basilica. Alison travels the country, as a soloist, singing opera’s greatest hits with the Three Waiters International. She received a BM in vocal performance from the New England Conservatory of Music where she fell in love with and performed new music by contemporary composers such as Daniel Felsenfeld, Johanna Jenei, and Thomas Malone. She has been lucky to share the stage with Lea Michele, Katie Finneran, Polly Bergen, Robert Cuccioli, and Nick Jonas and work with Stafford Arima, David Loud, Paul Bogaev, Lonny Price, and Mark Adamo. Alison can be seen as the “Singing Baker” on the Food Network show Sweet Genius, CBS Cooking on the Couch, NY1 On Stage, On Stage Across America, CBS Great Day SA, and the host of Tasty Tour Treats for Playbill.com.